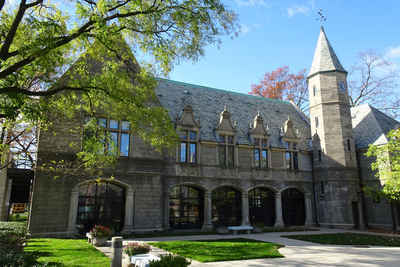 New Jersey private colleges and universities enjoy a certain reputation for academic prestige and excellence. With world-famous research parks and science facilities, easy access to several major metropolises (including Manhattan), and an extremely generous federal and state spending budget, it should be easy to see why schools, colleges, and universities in the "Garden State" are able to attract the best and brightest from all over the world. New Jersey private colleges and universities offer a wide range of education programs with degrees and certificates up to the doctoral level, as well as professional degrees such as law and medicine. New Jersey has a number of fine institutions of higher learning. In fact, there are 62 colleges in New Jersey, 33 public and 29 private. These New Jersey private colleges are diverse in character, academic emphasis, and origins. Some private colleges or schools have a religious affiliation; others are secular. Private colleges and universities may be profit or non-profit institutions. Typically, New Jersey independent colleges or private schools give weight to personal characteristics and activities in addition to considering GPA and test scores. The Association of Independent Colleges and Universities in New Jersey (AICUNJ) is committed to the advancement of independent higher education in New Jersey. There 14 member institutions perform a vital service to the State by providing more than 65,000 students access to diverse educational opportunities. AICUNJ members also make a significant economic impact through research, community development and relevant degree programs that meet New Jersey's workforce needs.